I was really interested to review this new book 'All the Presidents' Gardens' by Marta McDowell because of, and this might sound odd, my general lack of knowledge of US Presidents. At the time I am writing this we are on the verge of the next Presidential election so the news is full of the various selection processes and stories about the candidates. When I say lack of knowledge I mean that I lack historical knowledge of Presidents. It can be summed as I know a little about a few. 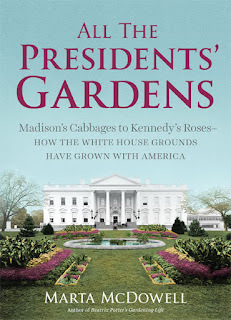 I confess further that until this book my knowledge of Presidents and plants was limited to knowing that George H W Bush did not like broccoli and reading somewhere that Michelle Obama was planting vegetables in the White House garden. I think I also vaguely knew something about a rose garden but that was about it. I think that knowing about people's gardens helps understand the person. Even though the White House is only lived in when they are the President, it would appear from the book that it is no less a home and no less shaped by its occupants to be what they want to see when they look out of the window. The book is a detailed history of the house, garden and the relationship of its occupants to its gardens. It starts as the house is built and the gardens are established within the political context of the time. The French and British influences on the early design of the garden are fascinating to read about. 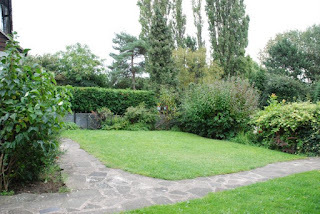 As is the knowledge that initially the gardens were also part public park. Security reasons now mean that this is not as open as it was but you can still go on tours of the grounds. The book is linear in its time line and each section takes you through a few Presidents and their first first ladies when applicable. The House has been occupied since 1800 and as Presidents and their families have moved through it some more than others have left their mark. Some parts of the gardens remain and some parts, like the conservatories, were sadly fairly short lived. You get a feeling for the likes/dislikes of the Presidents and what they have contributed and what they have removed and created. I thought about what the UK equivalent would be to these gardens. I started to think that it might be Buckingham Palace but that has had a totally different occupancy as it has been related to life-times and not to periods of office. I wondered whether then Number 10 Downing Street was a better likeness. Number 10 does have a garden yet we rarely if ever see it. It is not part of the narrative of UK government whereas the White House lawns are very much a part of how the Presidency is represented. I found this a very interesting comparison to consider. There are photographs, paintings and plans of the gardens. The photographs have an eerie quality as there are often no people to be seen so nothing to date when the photograph was taken. Towards the end of the book are short biographies of the 'First Gardeners', the gardeners at the White House. There are also plant lists detailing what was planted in 1809, 1900 and 2008. This also gives a fascinating insight. 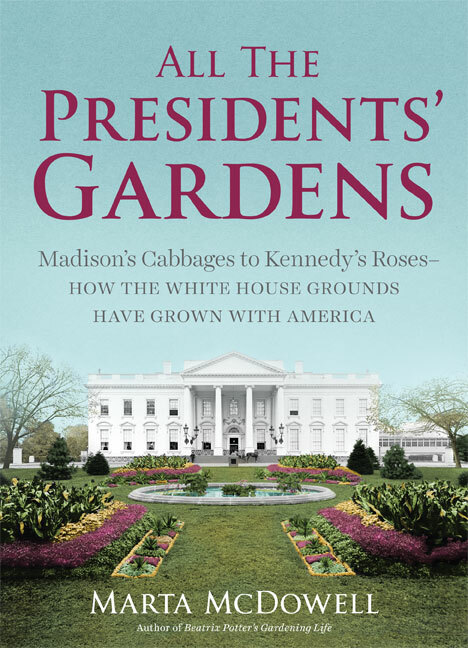 As the book moves through the Presidents and their effect on the gardens it becomes clear that recent Presidents have seen their role increasingly as one of preservation. The White House and its gardens have a central historical role to the founding of democracy in and of the country. I also thought further about the Presidents that have been in power whilst I have been alive. The first President I can remember is Nixon. His legacy in the garden does seem minimal, he must have been busy doing something else. It is a book that gives us a view on the people who have taken on this incredibly powerful role from a totally different point of view. 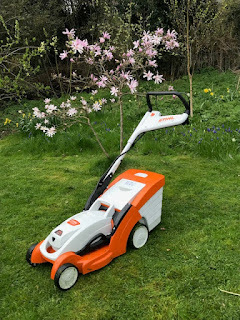 One cannot help but wonder what the next occupant will bring to the garden? I can thoroughly recommend this book, it is truly fascinating. In the interests of transparency I was sent a review copy of this book. That sounds like a brilliant book! Thank you for the review, as a collector of gardening books, I think this book will be mine once.